Dr. Ebbe Nielsen was a pioneer of Australian biodiversity research and Director of the Australian National Insect Collection. 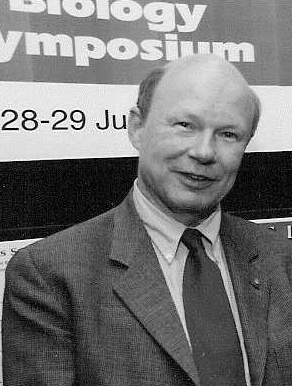 He was passionate about life, a passion that drove him from the learned surroundings of the Australian National Insect Collection (ANIC) at CSIRO in Canberra, where he was Director, to being the most successful global advocate for the science of systematics, especially insect taxonomy. Ebbe was a world leader in the taxonomy of lepidoptera – moths and butterflies particularly the primitive group of ghost moths. Arguably his most outstanding work in later years was as a champion for the Global Biodiversity Information Facility, an initiative of the OECD countries that now includes many other countries. He was, in fact, en route to Montreal for the first ever meeting of GBIF Governing Board after 10 national governments had signed an MOU bringing GBIF into existence in March 2001. GBIF would never have got where it did without Ebbe. He really ran it hard. He had this enormous presence internationally. I don’t think there was a good understanding in Australia of the very significant role he played on the world stage in taxonomy. One of his many passions was biodiversity, a concept that did not gain world popularity until the 1990s. As the rest of the world caught up with its meaning and importance, Ebbe was already advocating that if we wanted to continue to use these resources in a sustainable way, it was vital that we develop our knowledge of species and their characteristics. So biological collections, such as the ANIC, were an important, objective source of information about life on earth. But he and his colleagues were concerned that the growth of the world’s great collections was outpacing our ability to handle the data inherent in them. A Global Biodiversity Information Facility (GBIF), incorporating state-of-the-art informatics software, was urgently needed. GBIF came officially into being in March 2001. GBIF today delivers 1 billion biodiversity records online, and is the world leader in biodivesity data, both a testament to Ebbe’s vision. At the meeting of the GBIF Governing Board (to which Ebbe was travelling when he died) it was decided to establish an Ebbe Nielsen Award to promising young scientists in biodiversity informatics. The moth Pollanisus nielseni is also dedicated to Nielsen.